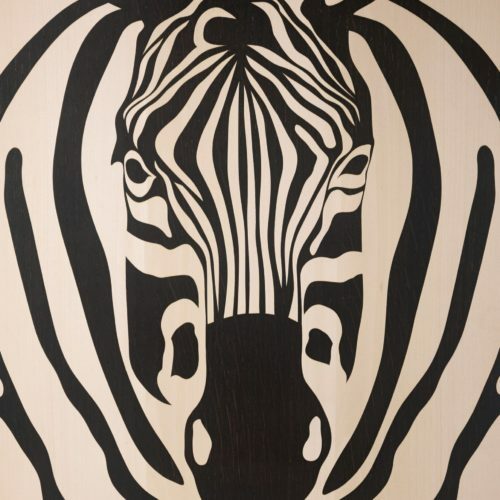 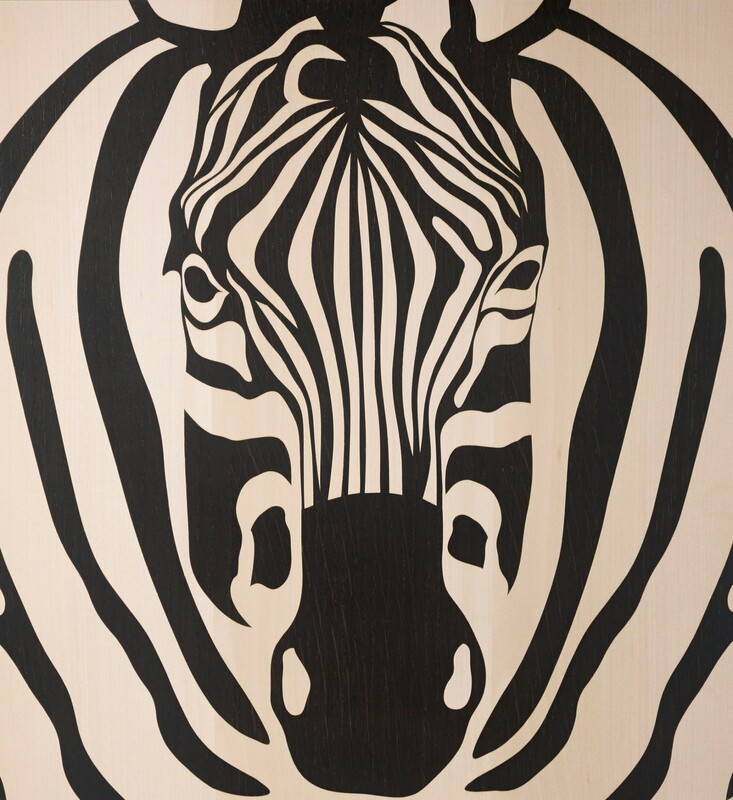 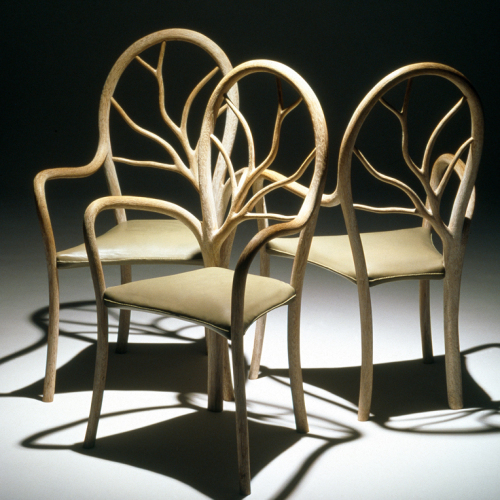 Early professional recognition led to his work as a design consultant to the all India Handicraft Board, a founding member of the Crafts Council in the UK and a Trustee of the V&A, London. 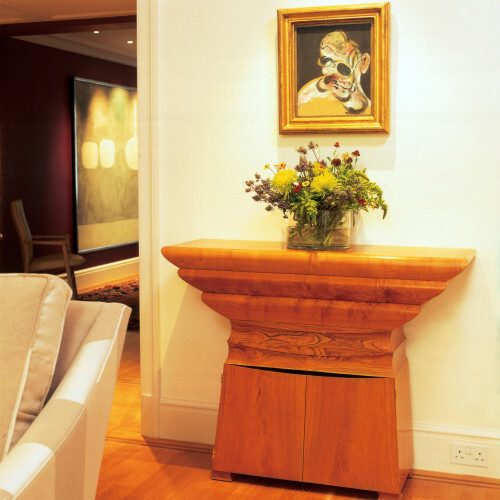 Early commissions from Templeton and Keble College, Oxford, Liberty’s, Banque Générale du Luxembourg, were followed by major museums, corporate and private collections around the world. 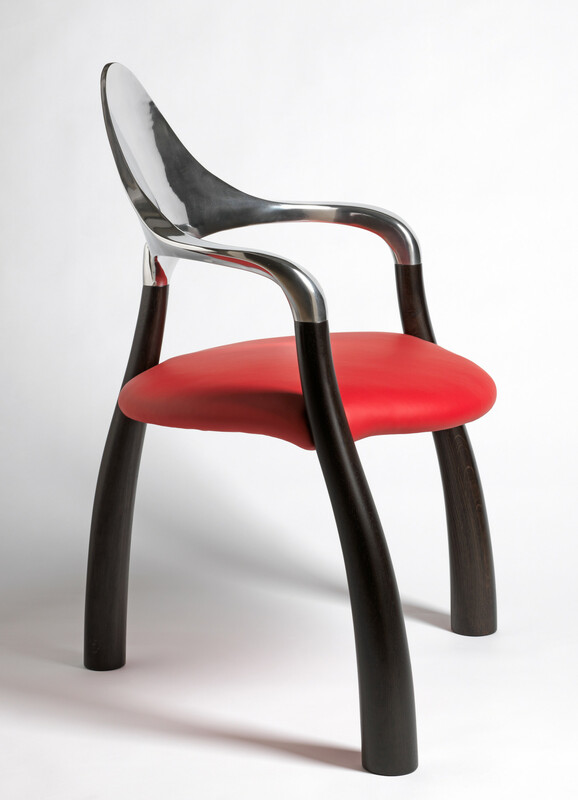 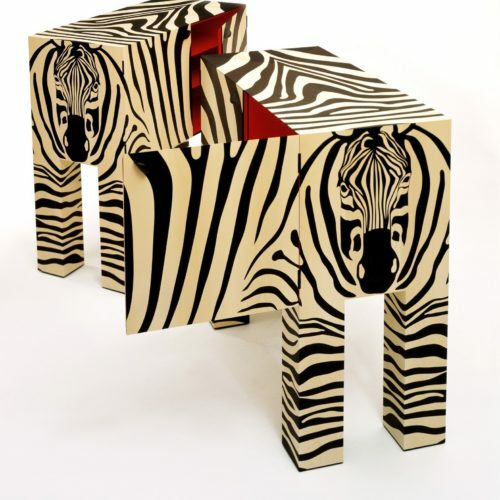 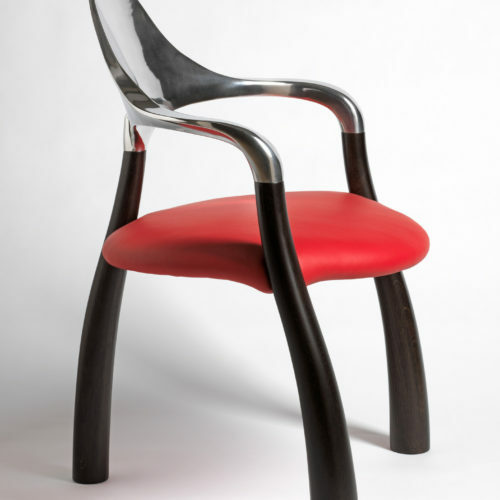 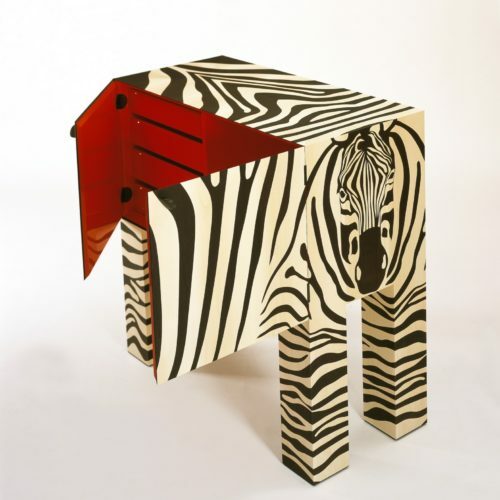 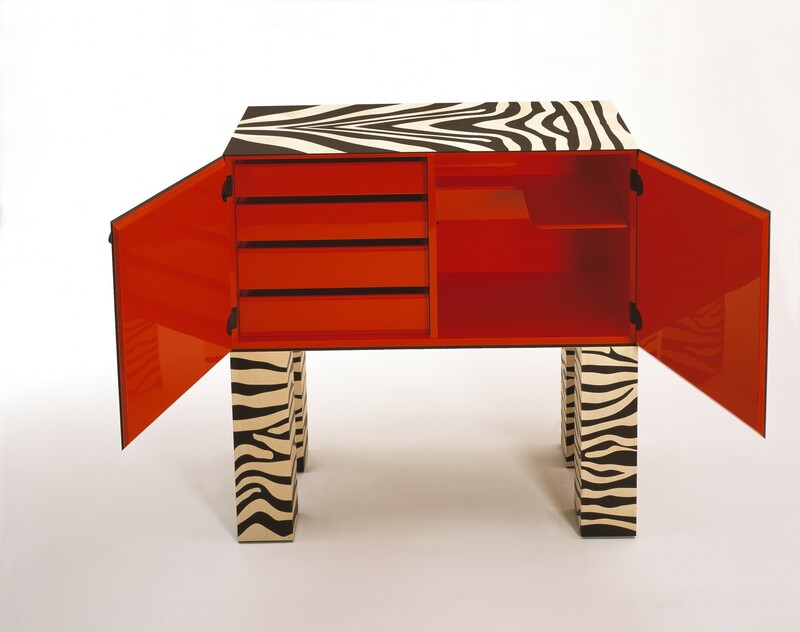 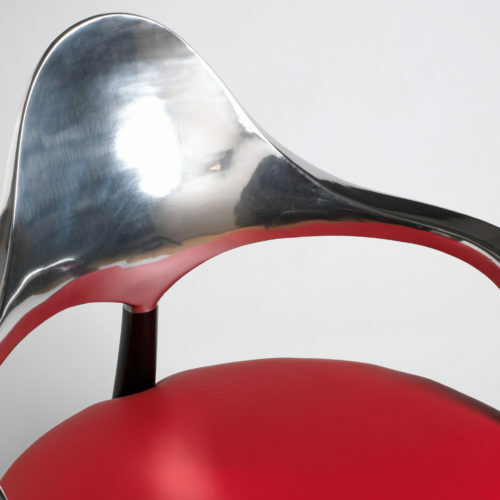 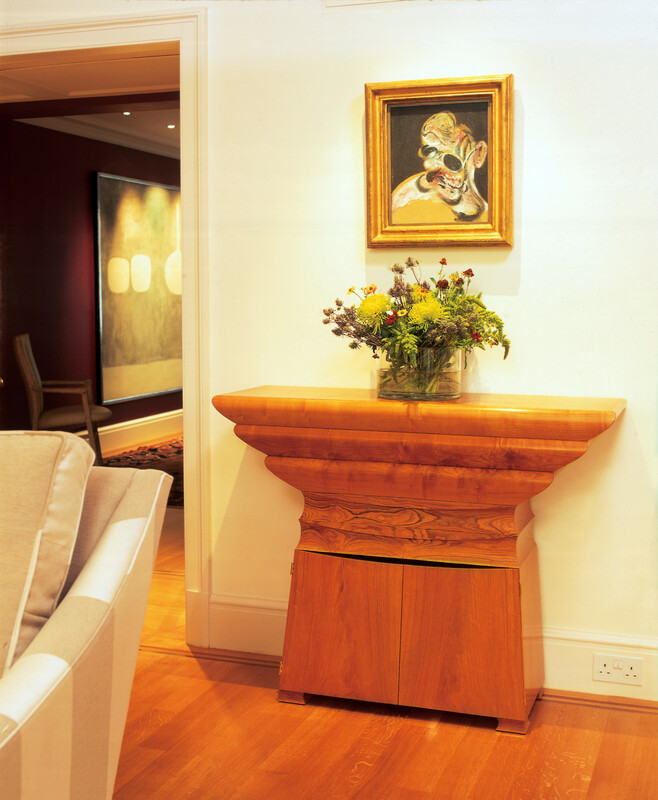 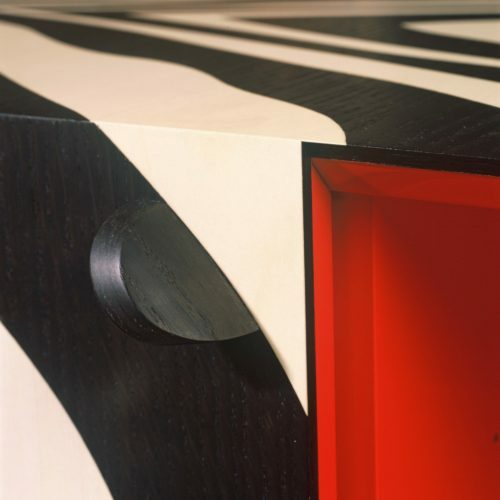 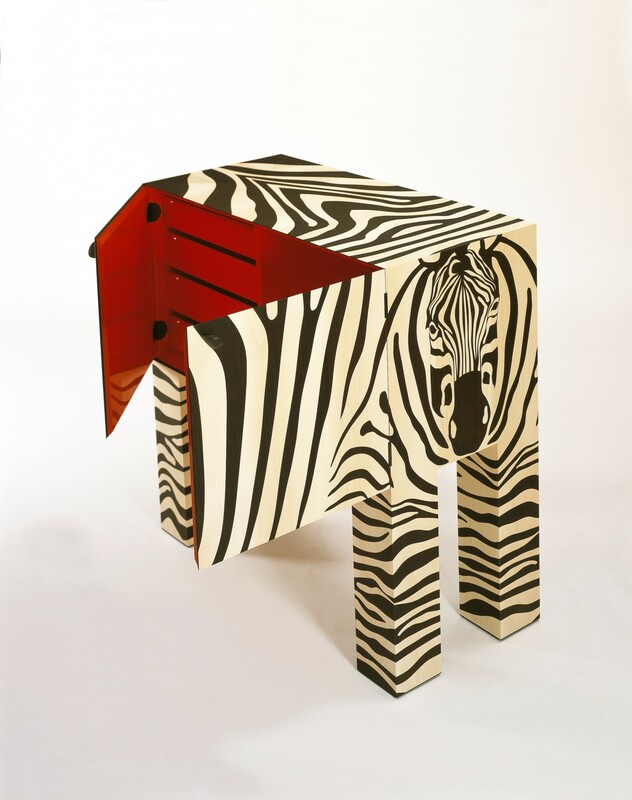 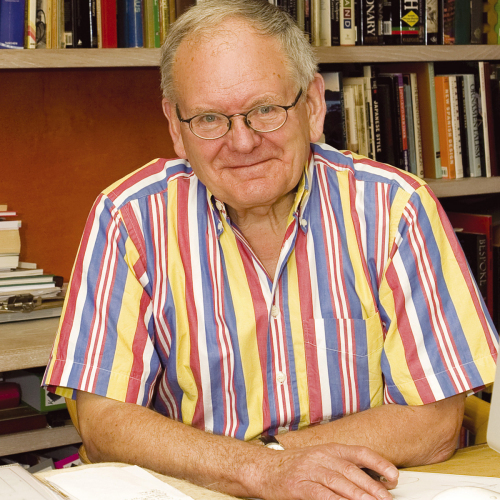 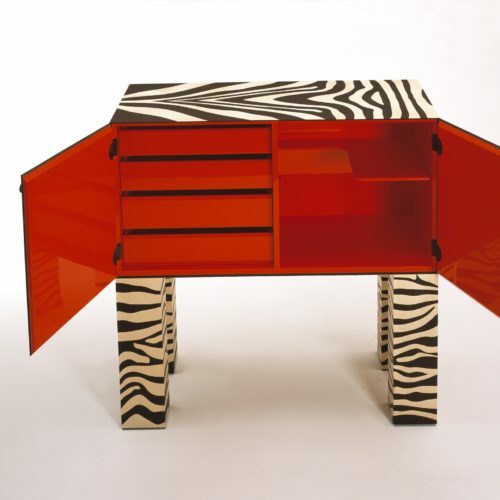 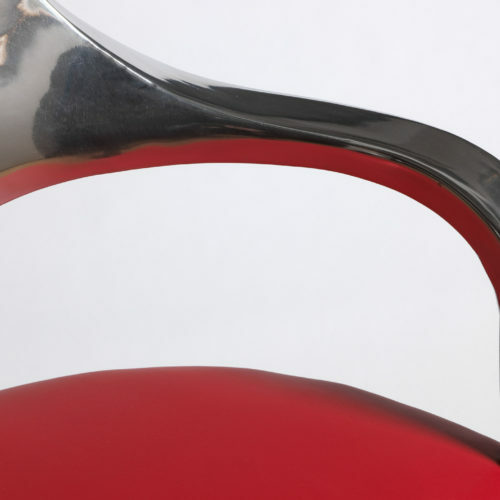 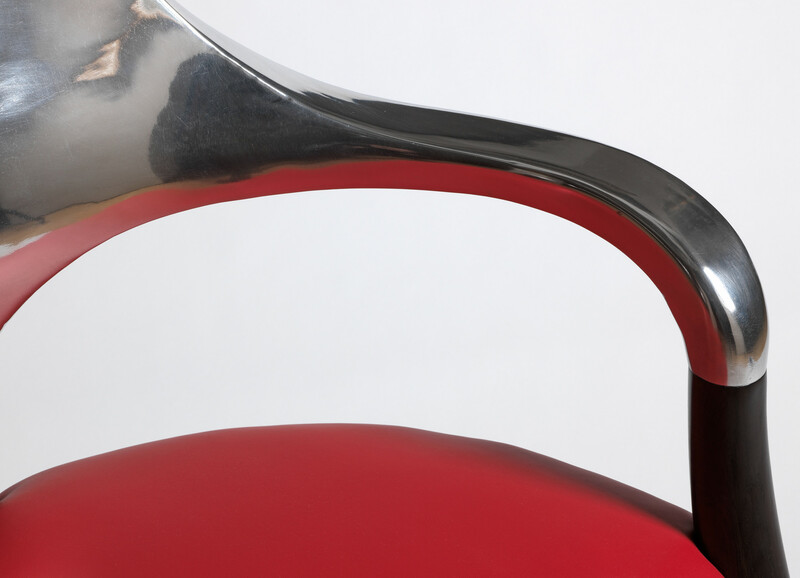 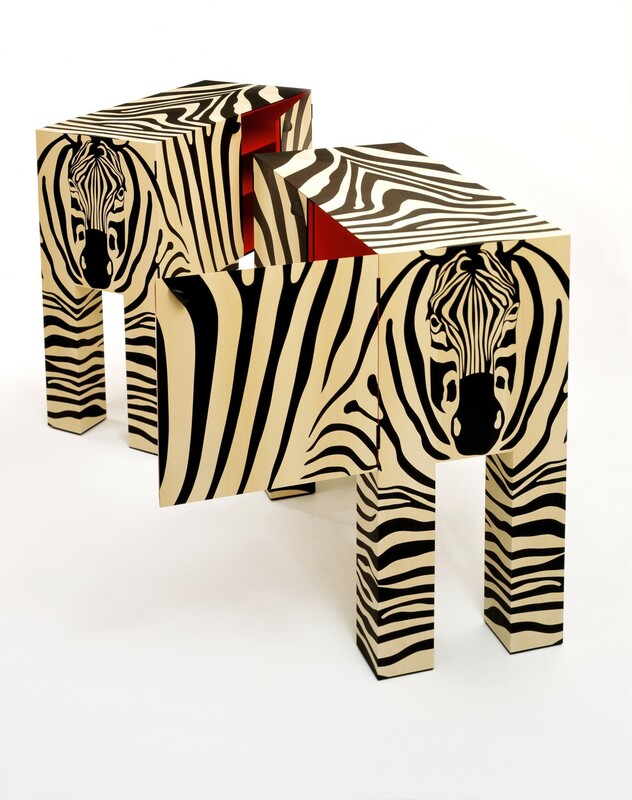 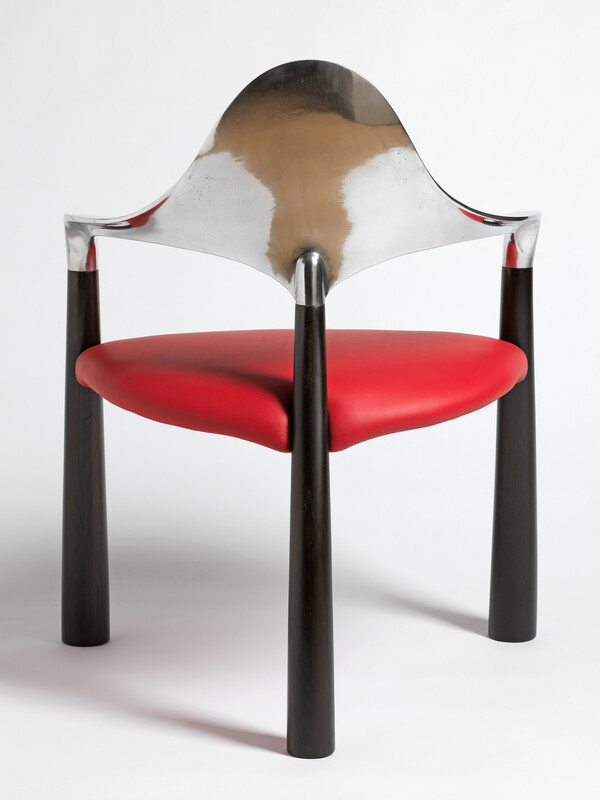 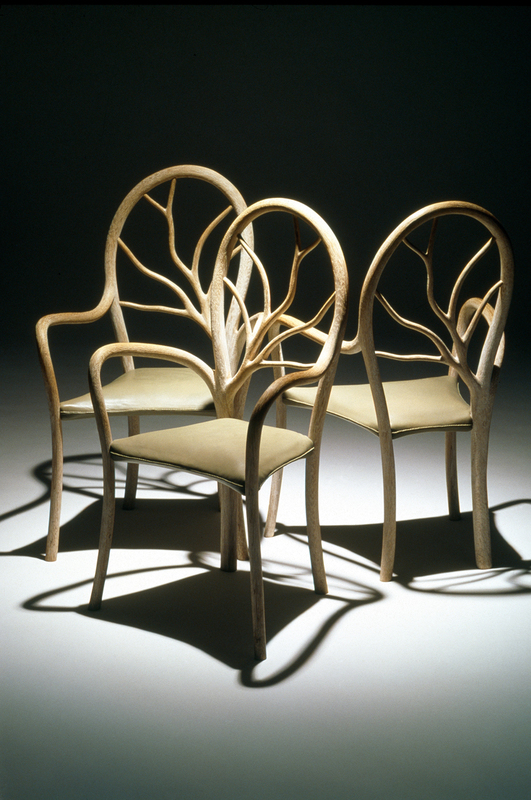 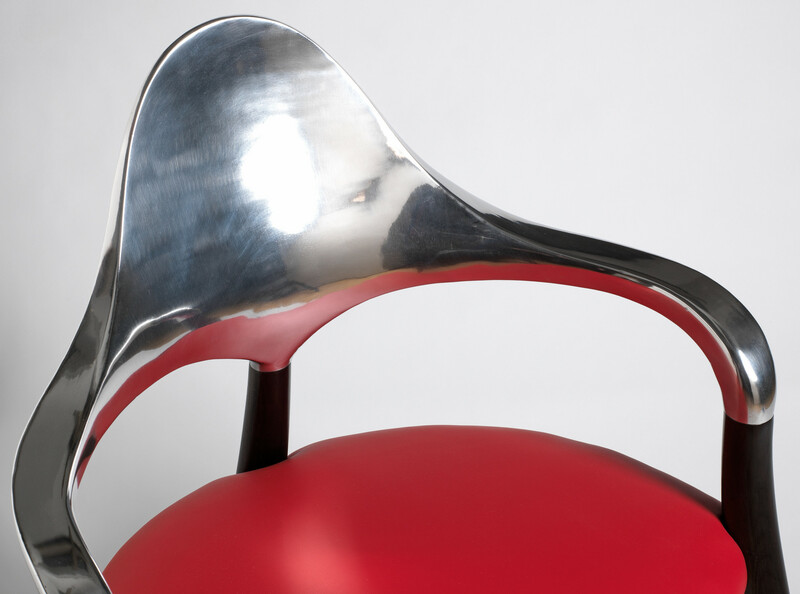 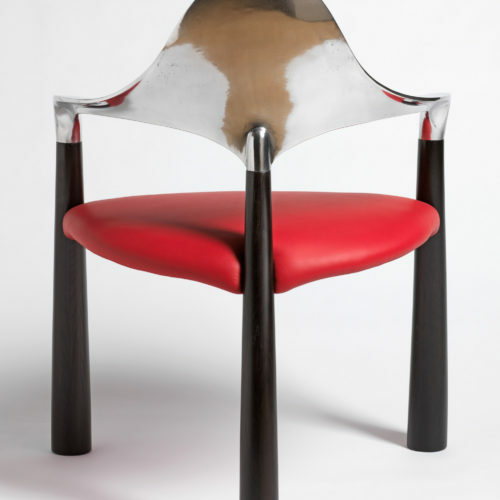 John was awarded an OBE in 1988 for services to furniture design and in 2002 received the American Furniture Society’s Award of Distinction. 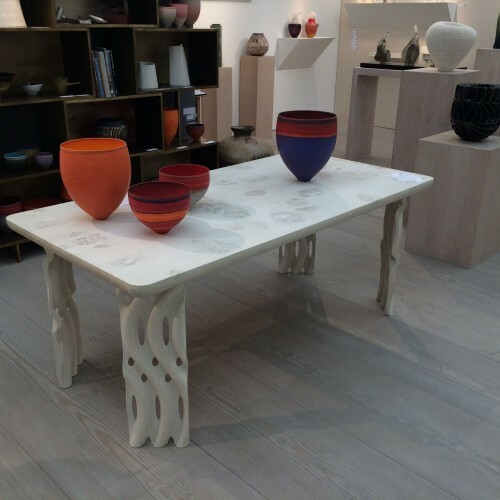 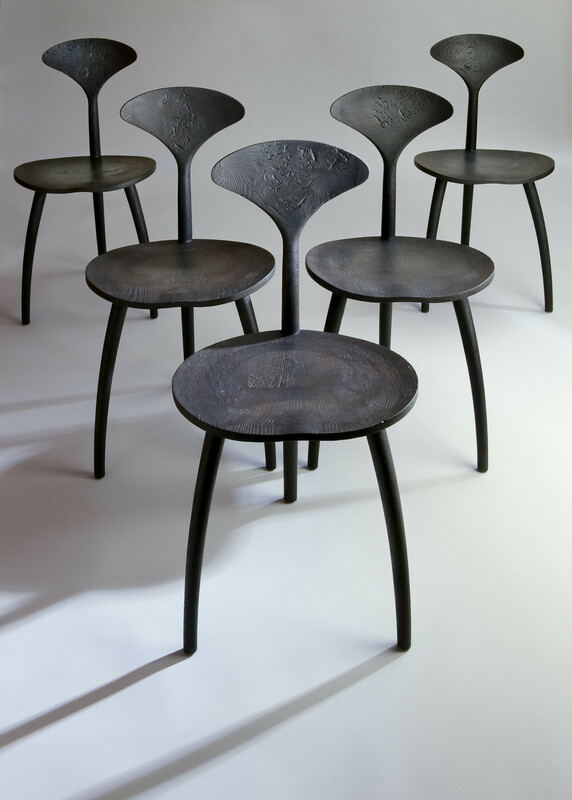 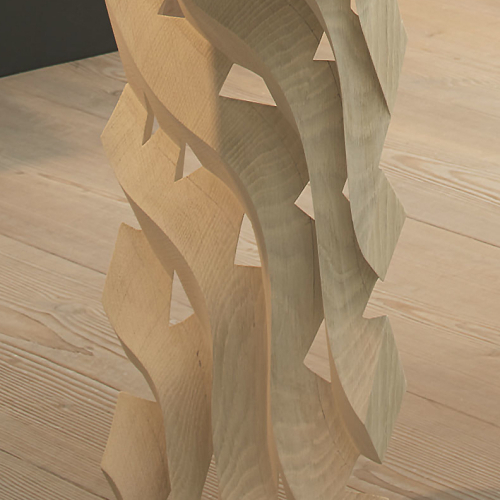 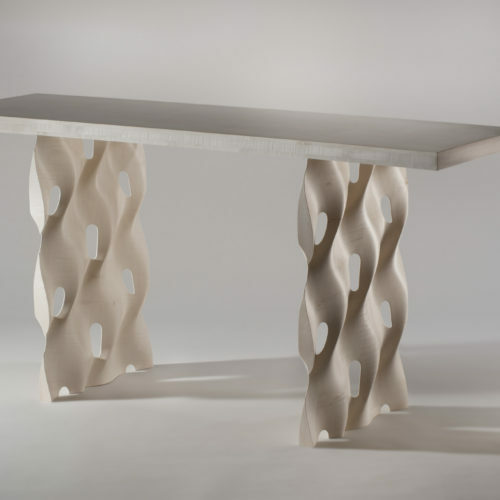 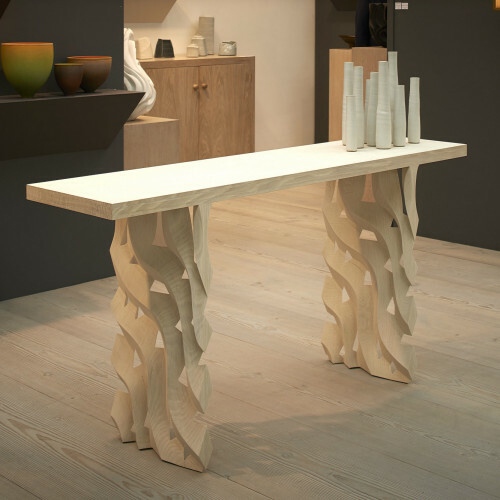 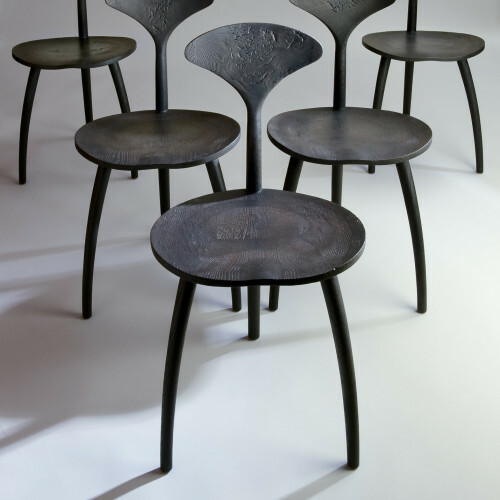 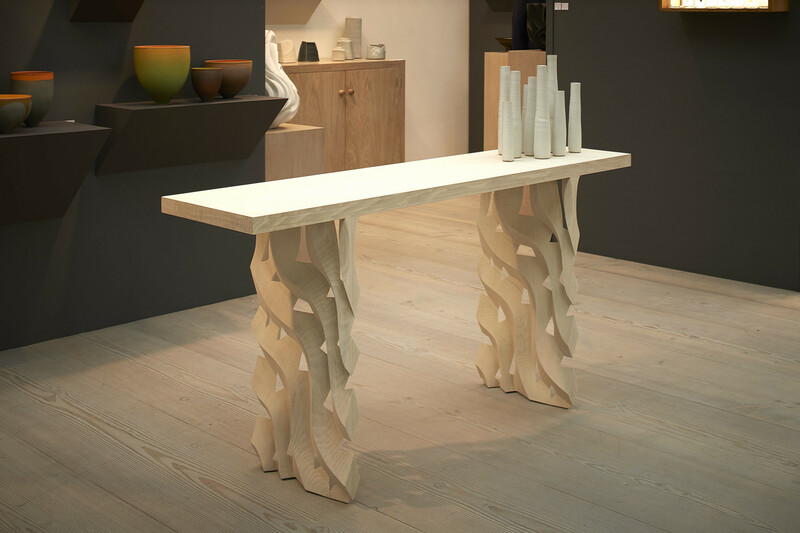 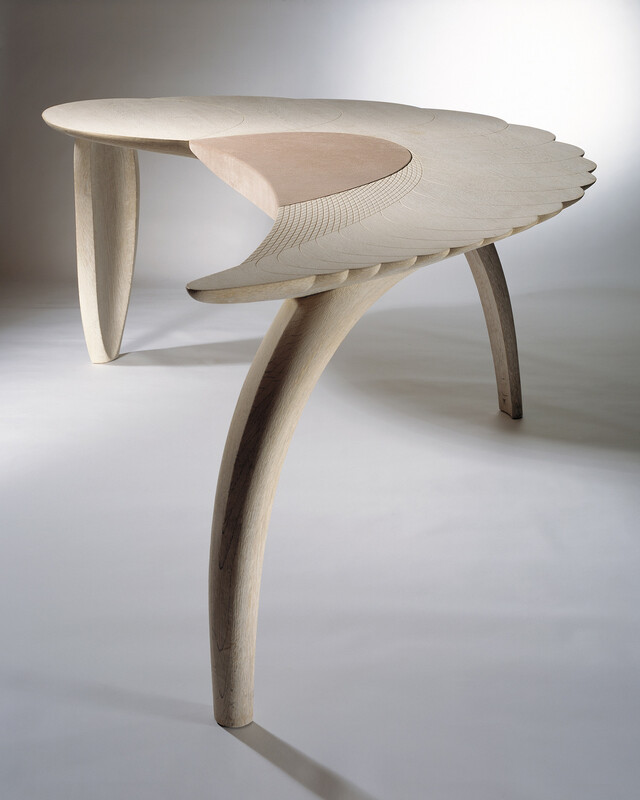 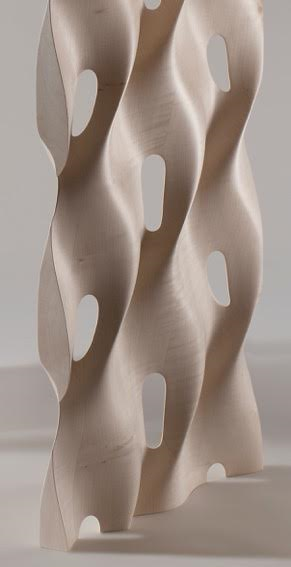 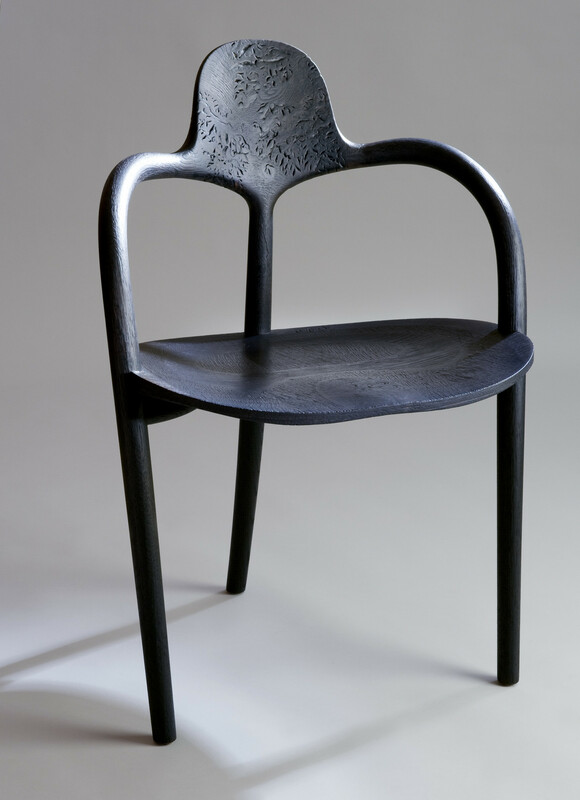 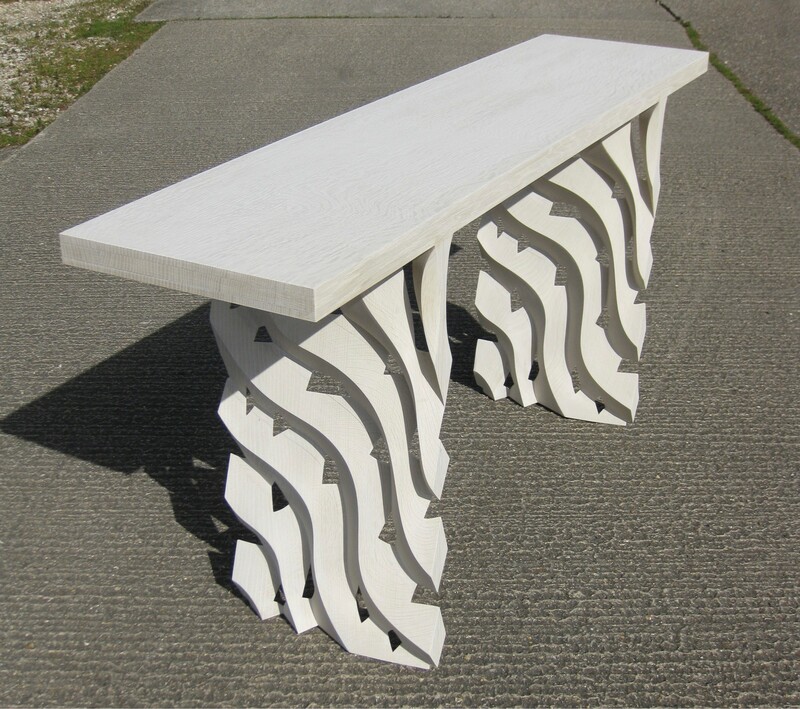 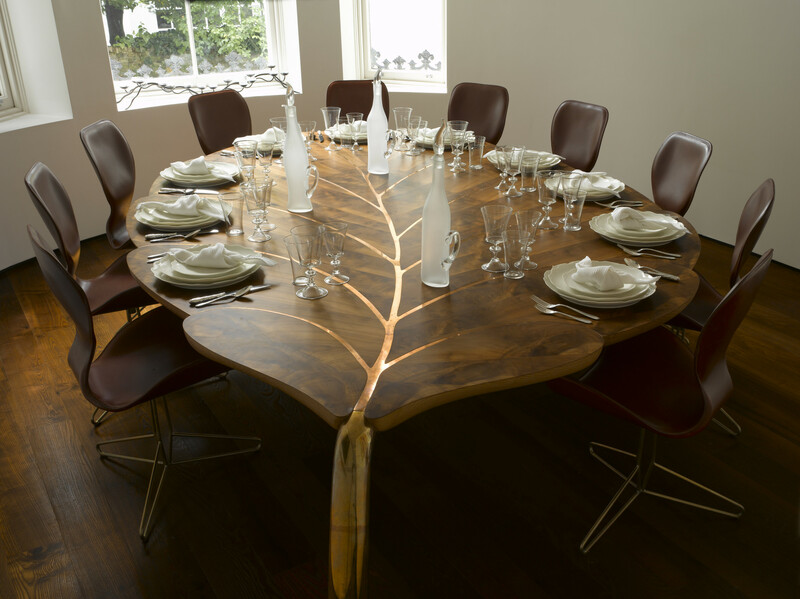 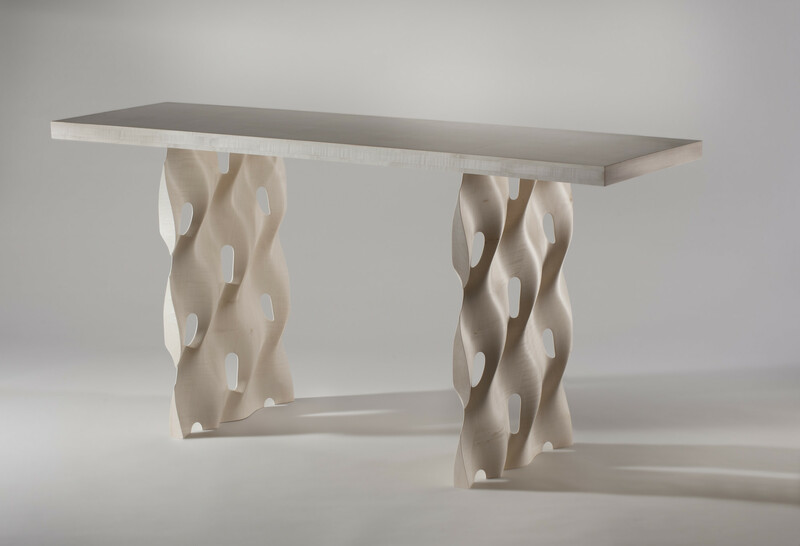 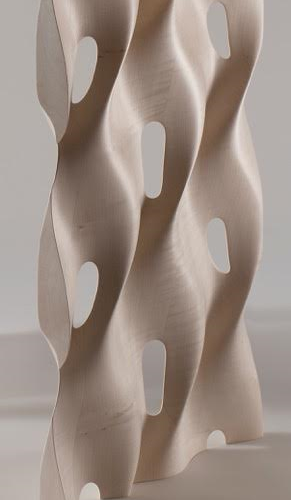 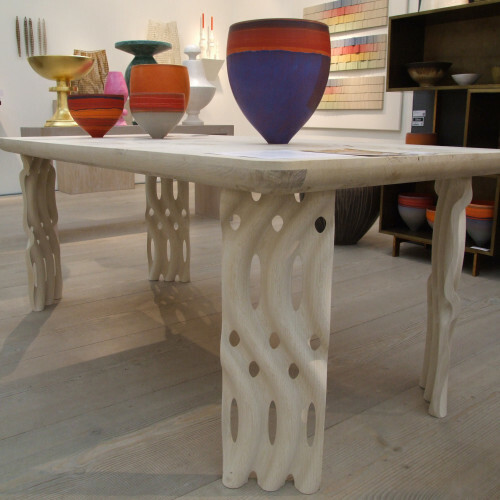 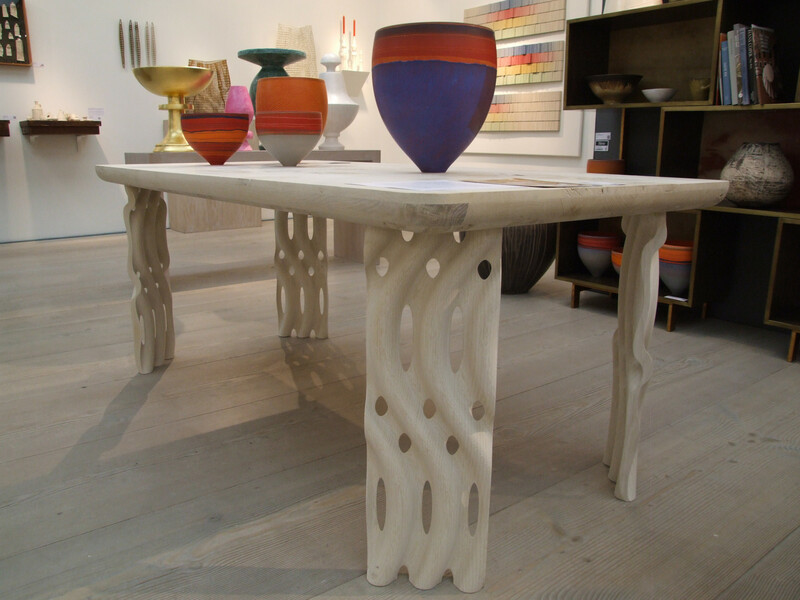 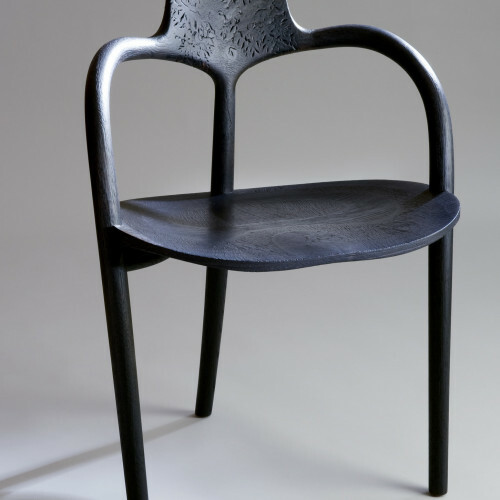 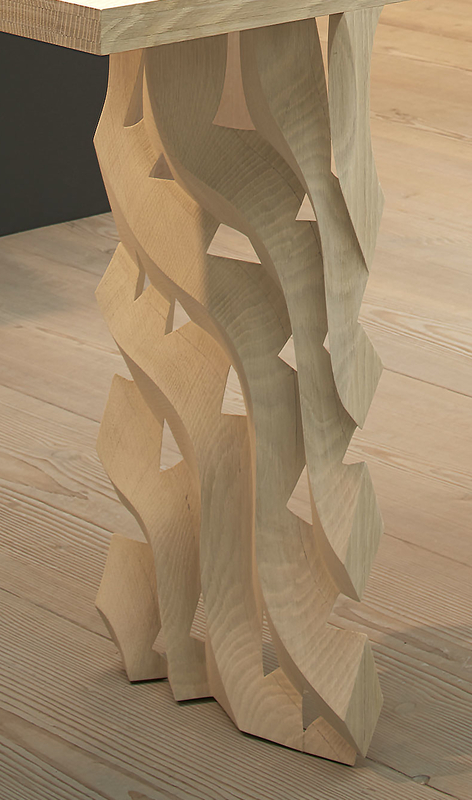 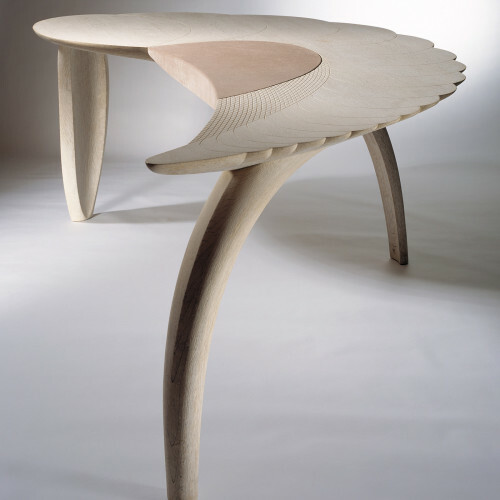 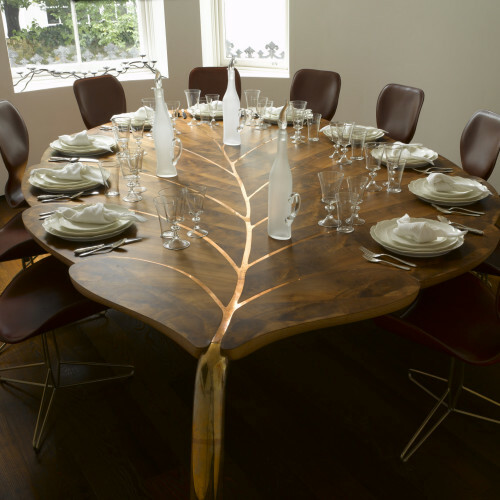 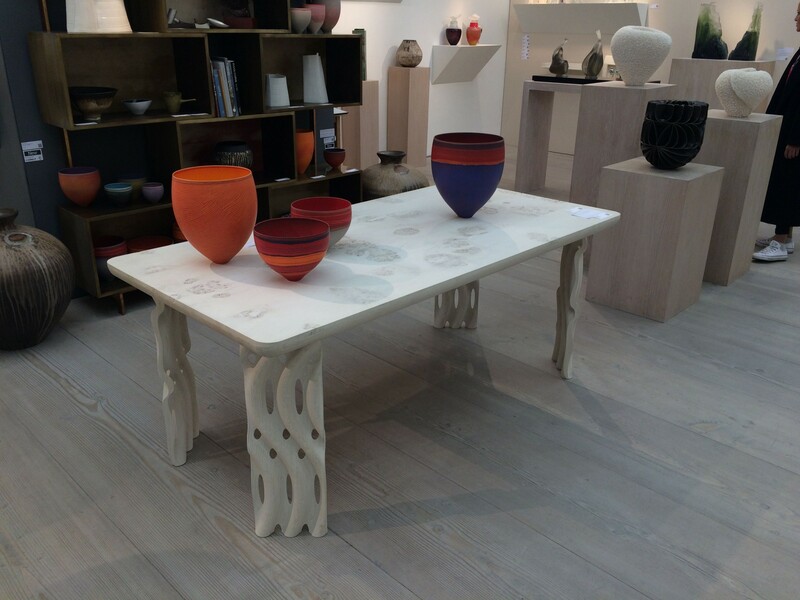 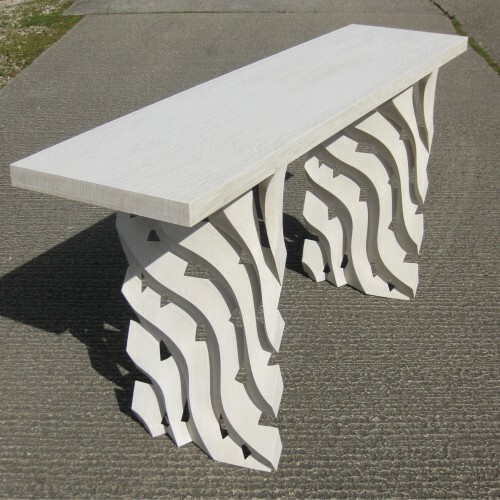 The top is made from magnificent planks of burr English oak and the perforated legs created using computer-controlled sculpting.